Understated elegance and simple block colours give Hotel Hacienda a rustic charm that differentiates it from some of Mexico’s glitzier resorts. Set against a backdrop of brightly-painted stone walls, the hotel itself is simply appointed in a traditional Mexican aesthetic. Arches offer glimpses into the central pool area, shadowed alcoves allow you to catch a break from the strong midday heat and an adorable bar area serves ice-cold cerveza and expert cocktails all day, to help you relax as much as possible. Drop in from the bustling streets into this calm oasis. Centrally located in Merida’s back streets, the hotel is surrounded by the city’s plentiful attractions. Spend your days at Hotel Hacienda wining and dining in the many excellent local restaurants, or take a tour out into surrounding Yucatan for a look at Mexico’s rich cultural heritage. 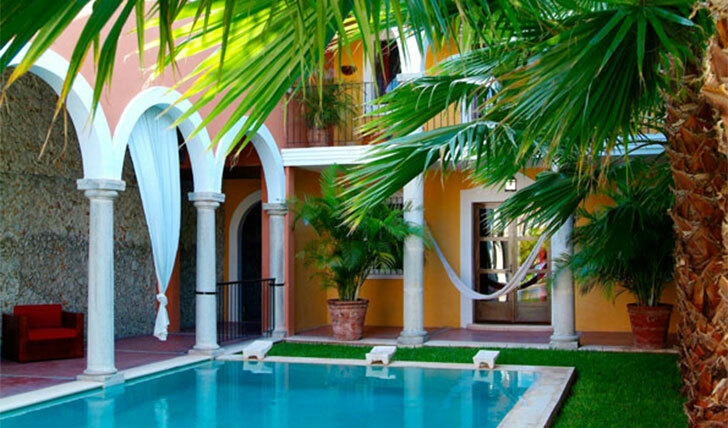 Hotel Hacienda Merida specialises in low-key luxe. Think balconies over the pool, hammocks and pastel-coloured bathrooms. You’ll find yourself in a spacious, cool room, your very own oasis from the heat of the Gulf of Mexico. When it comes to night-time, it’s four-poster beds, crisp white linen and all the modern amenities you’ve come to expect these days. This boutique hotel is far from a true hacienda, a traditional Mexican estate, but what it lacks in size, it more than makes up for in charm. 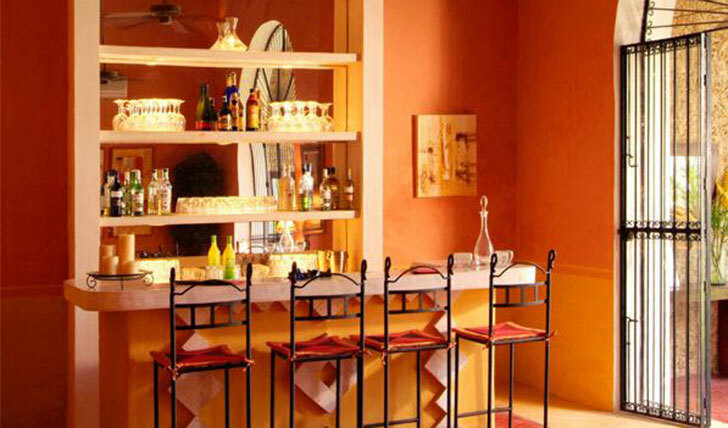 The simple, yet colourful, rooms are complemented perfectly by the stellar service of the hotel staff. If you’re looking for somewhere with understated luxury, cocktail-filled evenings and a sprinkling of lazy days reclining by the pool, Hotel Hacienda Merida hits the spot.